The Hot Spot Quiz is currently hosted in four very popular and prestige venues across the North West, as seen below. We also host one-off, special quizzes for private parties and custom corporate events in offices, clubs, home, factories, in fact anywhere there’s a plug socket and a will band of teams all vying to beat the rest and be the best Hot Spot Quizzers! The Alchemist can easily be found on the main street that runs through the middle of the well-healed town of Alderley Edge. It’s a very popular food and wine venue, that is also well known all over the world for it’s amazing range of exotic and ingeniously created cocktails. Due to it’s well-established and excellent reputation, people travel from far and wide to eat, drink and celebrate in this special and unique environment. The Quiz is currently held on the first and third Sunday of each month, with special themed quizzes slotted in-between relating to key times of the year, such as Christmas, Valentines Day and St Georges Day. Click through to read more about The Alchemist Hot Spot Quiz Night! Found on Stockport Road in Hyde, the Joshua Bradley was one of the very first venues in the North West of England to host a Hot Spot Quiz smartphone quiz. With a busy regular clientele, this is Hydes Brewery’s flagship pub and proud supporters of Host Spot Quiz. The quiz night here has been really popular of the years and since we introduced the Hot Spot Quiz using customers smartphones and tablets in January 2013, it has really taken off. We have quiz teams coming from far and wide, well out of the Hyde and Stockport area. We have around 10 – 12 regular Smartphone Teams playing the Hot Spot Quiz and get 2 – 3 floating teams dipping every other week or when they can make it. Read more about the Hot Spot Quiz at the Joshua Bradley…CLICK! Initially the first pub in the Manchester area to host the smartphone quizzing platform, The Urmston is the most popular quiz of it’s kind in the immediate area and has a regular attendance of 20 or sometimes more excited and keen quiz teams. Like the other two Hot Spot Quiz Night venues The Urmston can be almost empty on some quiz nights, but come start time the place fills to the brim with avid and excited and long standing quiz teams all ready to do a smartphone quiz battle. 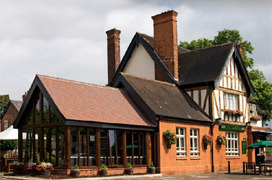 Read more about the Hot Spot Quiz at the Urmston Hotel…CLICK!